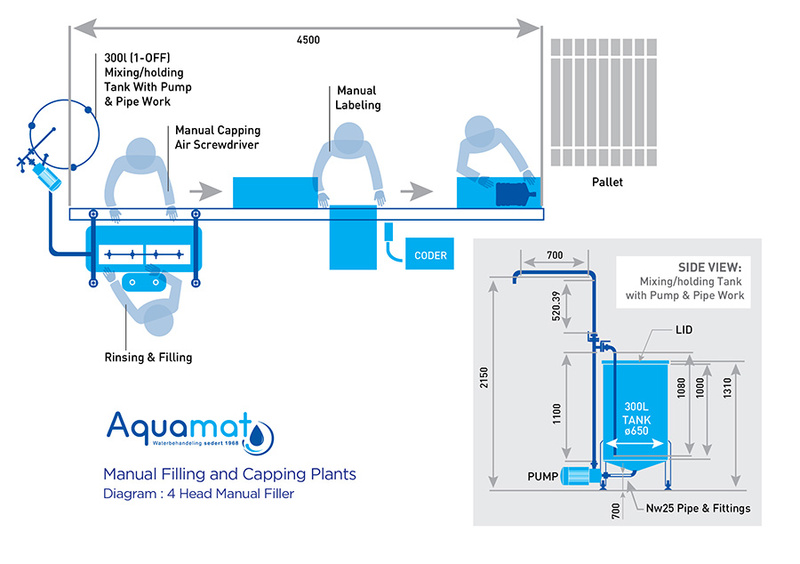 Aquamat offers a wide range of water bottling solutions, varying in size and output. With more than 40 years of industry experience we are ideally suited to providing expert guidance in planning your water bottling plant. These versatile units can be adapted to incorporate a variety of systems, depending on client requirements and can include reverse osmosis, re-mineralisation, sparkling or flavoured water, to name but a few. These units can be manual, semi-automatic or fully automatic, depending on your specifications and budget. Manual filling and capping plants can start from R250 000.00, but our expert consultants would provide you with guidance on choosing the correct set-up for your unique requirements. Should you be interested in a water bottling plant, please take a moment to fill in our quick questionnaire below in order for one of our skilled consultants to get back to you with a comprehensive suggestion based on your needs.